Infinite cab is a feature rich e-hailing taxi dispatch software. Prior to the release, we made sure that the features of infinite cab taxi dispatch software are aided with the state-of-art technology and innovative. Our mark of developing a cab management system is to deliver better and reliable customer services right from booking the cab to billing and managing payments on the go. In Infinite cab, we provide all provision for a convenient and comfortable ride with enhanced travel experience. we extensively worked to outdo the competition in simplicity and efficiency, especially in the aspects like simplifies the cab booking process, quick response, secure and comfortable ride and superior customer service. Our cab management system is the comprehensive set of automated mobile and web-based dispatch software. web panel is offered for Admin, driver, and passenger. And, Mobile app is accessible for driver and passenger. Admin panel is the control unit of infinite cab taxi system. Admin web panel’s home screen is designed in an orderly manner with function and displays are organized perfectly to give a better user experience and easy navigation. Home has a quick display of important details which include a map indicating drivers locations, Statistic graph showing trips and cash flow, Booked trips, Canceled trips, Online users( Users currently engaged with the app ). Fare details of every cab type, Ongoing ride, and rejected trips are also displayed on the home screen. Quick navigation to set currency and language are also included in the top of home screen along with the menu for all driver (which displays all drivers), all passenger and trip history report. Dashboard in the home of admin panel incorporates all tools and function for the taxi management. 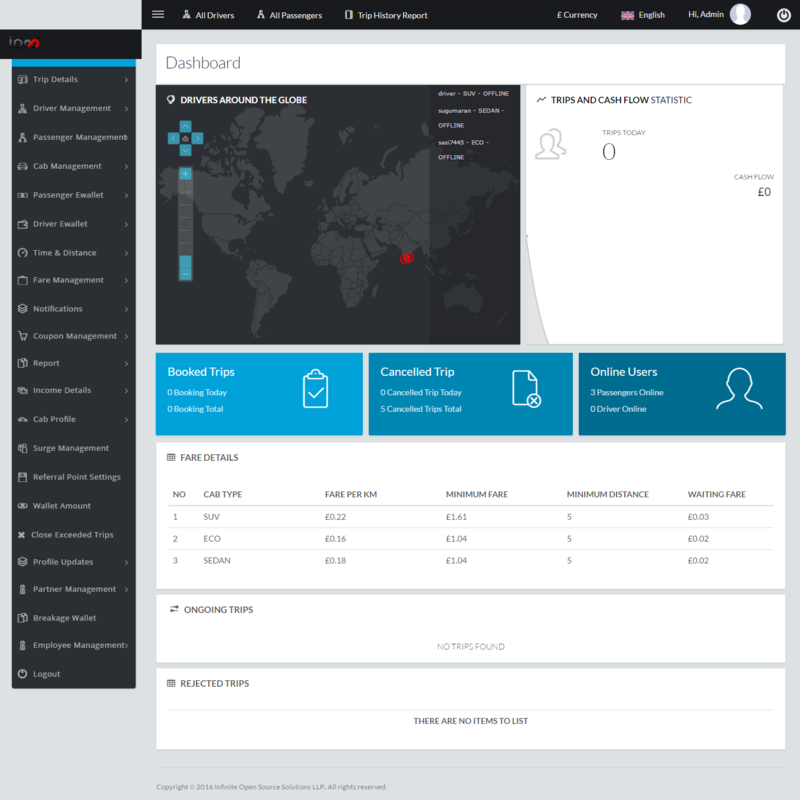 Dashboard is placed at the left end of the admin panel’s home screen. All setup function and features are included in the dashboard, which are driver management, passenger management , cab management, fare details and all other admin panel features. Driver web panel has less features than of admin web panel, but covered with all relevant tools and options need for the drivers. Home screen has the display of the passenger map, cash flow statistic graph, booked rides, trip history, wallet details and fare details. Move over the tab’s for currency, language, future trips are placed on the top of homescreen for quick navigation. Dashboard of direct web panel consolidates the following setup options which include, notification, future trips, wallet details, trip history and other driver management features. Passenger web panel contains pretty much same features as that of driver panel. which embodies the display of drivers map, booked trips, ride history, wallet details and fare details along with the toolbar to set up currency and language. Dashboard incorporates almost all essential tool and features for passenger account management, which contains notification, book future trip, booked trips, wallet details, and other account management features. 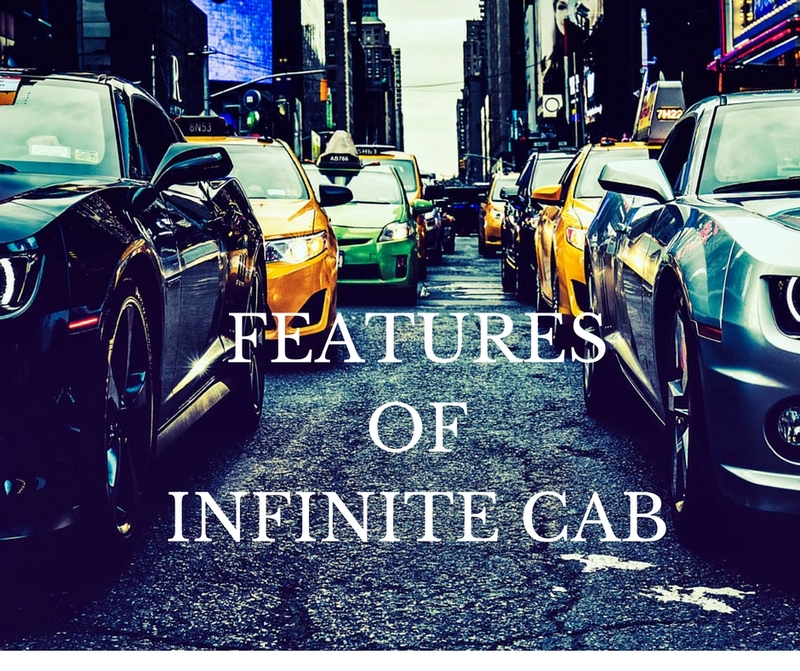 INFINITE CAB drivers app render out a user-friendly experience for the driver, who can easily familiarize this app without much technical knowledge. Our elegantly designed app menu and layouts give driver’s smooth navigation throughout the app. the driver can set status online or offline depends on his availability. Once the driver sets his status online, he will be visible to the customers and they can engage with him whenever they need a ride. Along with the request for a ride, the driver will be informed of the pickup location, time and the destination( if provided by customer)of the ride. Driver can notify the passenger when he arrived at the pickup location. Distance and fare will be calculated automatically. Along with more driver app features. that today’s all adversary taxi aggregators render out. This Mobile application allows its users to hire taxi via smartphone from anywhere, at any time and will be picked up without much waiting time. they are provided with an option to choose their desired cab model and also can set the pickup time. when the taxi arrives, Passenger will be notified by the driver and passenger also can view the driver’s position via GPS facility. Passenger can share their ETA details to friends or others and at the end of the ride, they can rate and give comments to the driver. the features give passengers an hassle-free booking service and tension free ride and compel them to use this service again. 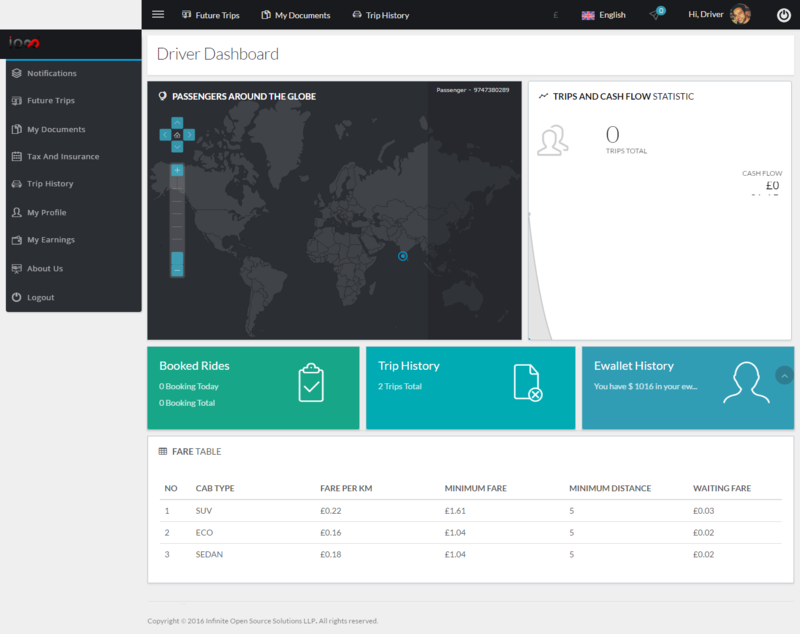 Recently we launched the demo version of infinite cab, which includes admin panel and mobile app. Users can try web panel demo for admin, driver, and passenger from our website. Each has given the pre-set username and password. Users just need to log in. Mobile app demo is available for Android and iOS. Android users can download Passenger app and driver app directly from google play store. And iOS users can download Passenger app and drive app for iOS from apple store.